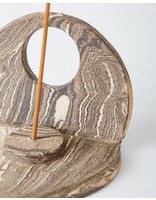 This can be used as a normal stick incense holder OR as a place to hold your palo santo as it burns. It's a perfectly designed two-for-one, plus it looks really cool. 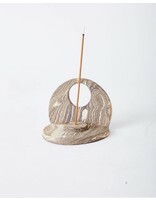 Each incense burner, created using the traditional Japanese nerikomi technique of layering and mixing multiple colored clays.